Simple actions you can take while on campus to be a part of building a healthier, more sustainable Harvard. Apply to be an undergraduate REP or a Green Living Representative (HLS, HBS, Harvard University Housing) or a leader on the Council of Student Sustainability Leaders. Undergrads: Check out the Office of Career Services for internship and job opportunities in energy, sustainability, and environment fields. Browse the Harvard Center for the Environment's Course Guide, and attend events and talks on climate change, sustainability, and the environment. Get funding for your creative ideas and research with help from a Student Sustainability Grant or the Campus Sustainability Innovation Fund. Turn off lights, power down, and unplug electronics when not in use and especially during break. Need a light bulb? The REP program offers FREE LEDs which contain no mercury, are 90% more efficient than incandescent bulbs, and can last up to 20 years. Contact your REP or visit the Dorm Crew Office. By reducing your shower time you can help save water and the energy used to heat the water. Here are 5 ways to measure a 5 minute shower. Harvard has single stream recycling, which means everything can go in the same bin! Many Schools, all dining halls, and freshman dorms have composting. If you have a reusable item you no longer need bring it to the Freecycle shelf in your House or Dorm (ask you REP if you can't find it). You can also help tackle food waste by practicing mindfulness when selecting food in the dining halls. Wasting food wastes the energy and water used in producing and transporting it. Bicycle storage and racks can be found across campus. Harvard also sponsors 12 Blue Bikes stations (and offers a discount), and the Harvard Shuttle is tracked in real time and takes you around campus. Submit maintenance request on the Yard Ops website to make your room more comfortable and efficient. Get discounts on coffee at participating locations; and use filtered water stations across campus to refill your bottle. Designed by the Harvard T.H. Chan School of Public Health, the Healthy Eating Plate helps you create healthy, balanced, and flavorful meals. Check out these plant strong dining hall hacks for inspiration. 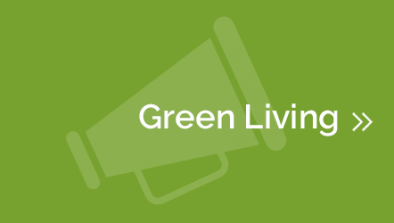 Check out the Sustainable Meeting and and Event Guide for tips related to food & beverages, waste reduction, and movement - all with a focus on sustainabiltiy and well-being. Learn about meditation and stress reduction, and practice at the Harvard Center for Wellness and Health Promotion. 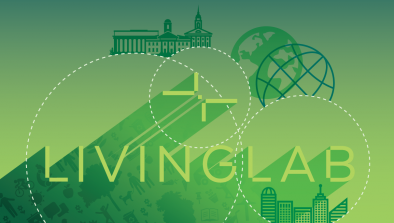 Harvard may be located in a city, but it is also part of a vibrant and thriving ecosystem. Take the T to visit the Arnold Arboretum or join a student group like the Harvard Naturalists Club or the Harvard Outing Club.